re-enactors. We hope you will enjoy your time at the Battle of Pocotaligo. Formed in 1861 by its namesake, Wade Hampton III, the largest landowner in South Carolina, the Legion joined the Confederate States servicewith units of artillery, infantry and cavalry. The original Hampton Legion was unique in that it had all three main branches of the army, cavalry, infantry and artillery. With the re-organization of the Confederate Army in 1862, the legion was broken up and assigned to other units. The infantry was transferred to John B Hood's Texas Brigade. The Cavalry went to J.E.B. Stuart as the 2nd S.C. Cavalry where it served with distinction throughout the war. Hampton took over command of the Confederate Cavalry in 1864 following Stuart's death. The artillery portion of the legion was converted to horse artillery, (all members mounted), and fought with the cavalry throughout the remainder of the war. During the war, the Legion produced 43 general officers, 4 of which would on day become Generals. The Palmetto Battalion is a statewide non-profit re-enacting organization for South Carolina Civil War re-enactors. The battalion is made up of 6 companies of infantry and 1 of artillery. The infantry tactics used are from Hardee’s Rifle and Light Infantry Tactics, 1862 version. The Palmetto Battalion holds company and Battalion elections once a year, and has adopted its own by-laws and safety regulations. 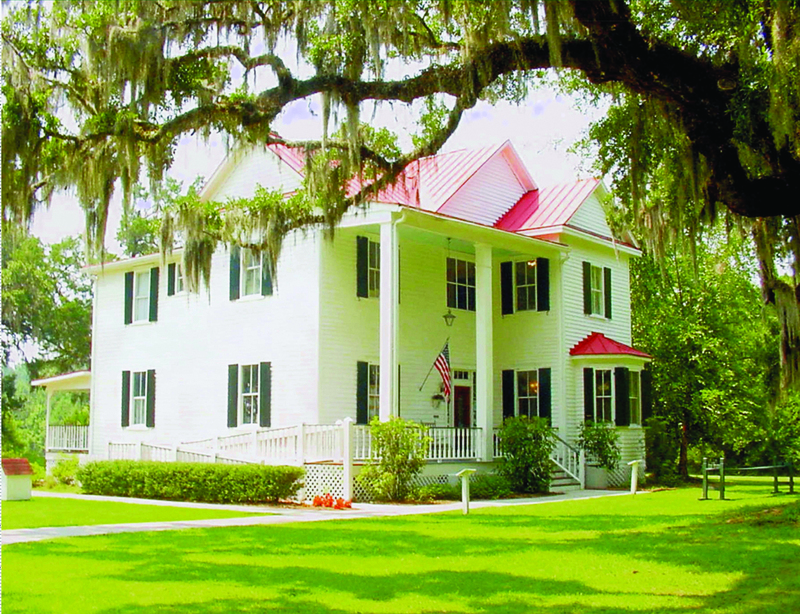 The Lowcountry Visitors Center & Museum (the old Frampton House) is located at Interstate 95, Exit 33 in South Carolina. The Center offers clean restrooms, a unique gift shop, historical displays and is open to the public seven days per week.